Government House has been the residence of Australia’s Governor-General since 1927, when the Parliament moved to the National Capital. Government House sits on Lake Burley Griffin and is a heritage listed building, which means various historic parts of the property have to be maintained for future generations. 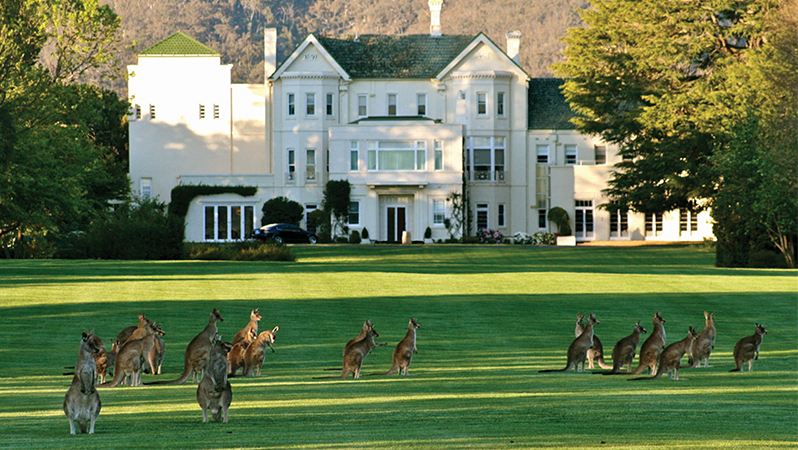 This is where the Governor-General lives and carries out ceremonial, constitutional and community duties, as well as receiving official visitors. Thousands of school children come from all over Australia to walk through the beautiful gardens, see the Government House mob of kangaroos and walk through the house itself. Tours of the house and gardens are conducted by Government House staff and the information presented contributes to a further understanding of what it means to be an Australian citizen, how governments work, and the special role of the Governor-General. Open weekdays with session times from 9.30 am to 4 pm. Bookings are required. Please note changes to tours may be made at short notice due to changes in the Governor-General’s programme.